G200 Gildan 6.1 oz. 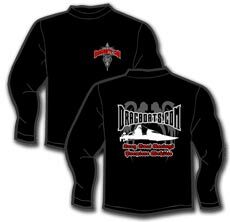 Ultra Cotton® Long-Sleeve T-Shirt. 100% preshrunk cotton; seamless collar and double-needle stitching throughout; taped shoulder-to-shoulder. 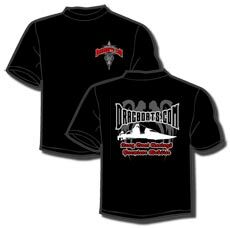 Dragboats.com Logo is 3-color front and back. Front logo is on upper left breast. G200 Gildan 6.1 oz. Ultra Cotton® T-Shirt. 100% preshrunk cotton; seamless collar and double-needle stitching throughout; taped shoulder-to-shoulder. 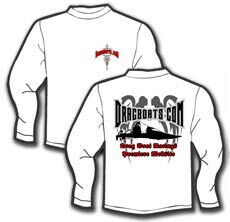 Dragboats.com Logo is 3-color front and back. Front logo is on upper left breast.